Amit Shah, according to the ongoing discussions on opposition unity, the public sees the leadership and currently nobody has the leadership like Modi. [New Delhi]: Between rhetoric and speculations about opposition unity, BJP's confidence is also growing on 2019 and it is also on the basis of it. Finding some sort of foundation that can be very difficult for the opposition. The central government and the BJP have decided that by 2019, every family of every village has the benefit of seven important schemes like electricity, Ujjwala, Jeevan Jyoti Insurance, vaccination, while the scheme of health insurance upto Rs 5 lakhs through Ayushman Is also ready. 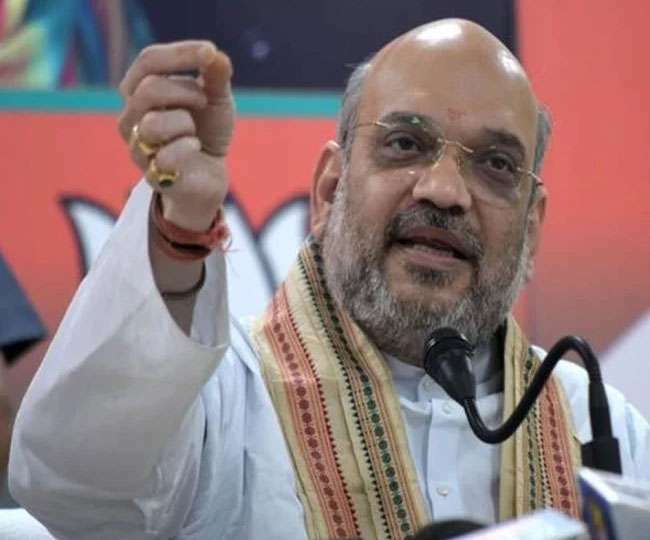 This is the reason why BJP President Amit Shah, who announced the victory over the last time till date, also predicted a one-sided fight on Tuesday. The BJP President was addressing the Press Conference at party headquarters in New Delhi on Tuesday. He said that there can not be any standing in front of the popularity of Prime Minister Narendra Modi throughout the country. The opposition has tried it earlier, once again it will prove that people will go with one-sided Modi. Keep in mind that from April 14 to May 5, the birth anniversary of Baba Saheb Ambedkar, the BJP organized a special campaign strategy for 16850 villages under the Village Swaraj Yojana, where the Dalit population is more than 40 percent. The results which have come up are encouraging for the BJP. Shah himself came forward to give this information to the media. Although he said that it is not intended to take any political advantage and there has been no bitter experience in any state, but it is difficult to believe that the outcome of the political impact of the results is empty. Shah said that in every house of all these villages, Prime Minister Ujjwala Yojana, good luck simple power scheme, Ujala scheme, Jan Dhan, Jeevan Jyoti, Pradhan Mantri Suraksha Insurance and Mission rainbow scheme have reached. In the next phase of the campaign, these schemes will be given 100% of the villages having population of more than 1000 in 115 districts. Until 2019, no village and no rural family will remain untouched. The BJP's campaign will demolish all the allegations of the opposition through which the question of Dalit oppression, village and poor is raised. Actually in the first and second stages, Dalits have also been in prominence. Such villages were chosen only where their population is high. In response to a question, the BJP president said that the issue of unnecessary issues is being sought from the opposition and unfounded allegations are made. The public understands it well and he gives the answer to the Congress. There is talk of opposition alliance in the coming days, but no one is able to explain how Mamata Banerjee will help in Karnataka and how the leader of Janata Dal (S) HD HD Deve Gowda will show in West Bengal. He said that people want development. The public sees the leadership and we believe that the next election will be in favor of Modi. Postmodern meeting of PM Modi will be held with Putin after Chinfing, Russia will go on May 21. What are different ways to Hide IP Address? How to build your website on the Internet successfully?